Apple’s iOS 11.1 drains battery faster than you can say dead battery. Okay so a bit of an exaggeration perhaps but as many iPhone users have experienced, iOS 11.1 shortens battery life significantly among other things. On my iPhone 5s for example even when using low power mode I find a 20% battery drop in just a few hours on standby! In my opinion this is unacceptable especially when previous iOS versions lasted much longer. Maybe the culprit is iOS 11’s new Wi Fi auto on feature. Whatever is causing this battery drain it’s annoying and I hope Apple fixes it soon. It’s hard to believe it has been nearly a whole year since Target’s transgender policy and boycott began. That was then. This is now. The following story is as disturbing as it is disgusting and definitely not for anyone who would rather ignore the truth. Now take a look at what happens when people allow the transgenders to pretend to be something other than what God has created them. Yes, Target was my favorite store until management decided to advocate for men entering the women’s bathroom. Many believe a boycott is ineffective and I believe it might be in terms of deeply “hurting” the merchant’s bottom line. 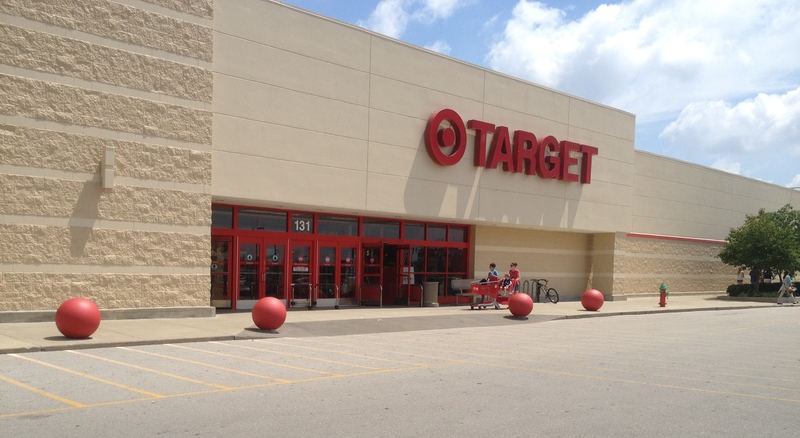 However as a matter of conviction, for me not shopping at Target has been a public statement proclaiming a disagreement in an anti God store policy. Target’s bathroom policy of course puts kids in danger of perverted men masquerading as women but most importantly it is a sin against God. Yes, a surgery or surgeries to the human body and manipulating hormones does not change what God has already ordained from birth. We all know this to be true but as the CEO’s of Target are proving, many will try to pretend it isn’t so and that God is not in charge. I first posted about the Target boycott here. Now consider another post of mine. I suggest a better way of reaching Target and anyone is to start by watching a movie called Audacity. If you haven’t watched it already check it out here. Someone in top management of Target made the decision to allow men to use the woman’s bathroom and vice versa. Many people agree with this and because it’s sin (see the Good Person Test) against God what needs to happen is a change of heart. Do boycotts change hearts? No. Who changes hearts? God. People at Target or not are all headed on a path to hell because of crimes against a holy God. Yes, (there’s a long list) and we’re all doomed unless there’s a way of escape. See the good person test. There is hope however and it’s not man-made. God through Jesus Christ is the only escape and Savior from hell and judgment to come. Are you ready? Let’s get the word out about this movie. If you work at Target or anywhere share it with your co workers, family and friends. And top CEO’s at Target, have you watched Audacity yet? The Los Angeles Dodgers have just won the 2017 National League Pennant by beating the Chicago Cubs 11-1. The rout was highlighted by three home runs, one of which was a grand slam, from Enrique Hernandez. Get full details here. As this post proves, human beings do not know the future. The Dodgers have now lost the last 15 out of 16 games and 10 in a row. I remember when we asked, will the winning ever end? Now we ask, will the losing ever end? Dodgers Sweep the Giants with magic walk-off win in the 11th inning. The walk-off win wasn’t your average amazing walk-off either. The Dodgers debuted a rookie by the name of Kyle Farmer who doubles in the bottom of the 11th inning with two men on, to seal the win and sweep. In the past I have been critical of the Dodgers management for not fixing the pitching staff (specifically the bullpen). Well, it might be an understatement now but 2017 is shaping up to be a great year to be a fan of the Los Angeles Dodgers. With the Dodgers who currently possess the best record in Major League Baseball, while they continue to break records within the organization for wins and team leaders, it might also be an understatement to mention the Dodgers are playing really well in 2017. And for Dodgers fans everywhere, it gets better. To be a fan of the Dodgers in 2017 is to watch their arch-rival SF Giants cling to dead last in the National League west division standings. For us Dodger’s fans, it is a beautiful thing to watch as the Giants flounder day in a day out while the Dodgers win and break records. And why are the Dodgers winning? The Dodgers have an abundance of All-star players, Rookies and raw talent. Take Rookie sensation Cody Bellinger and players Justin Turner, Corey Seager, Chris Taylor, Alex Wood, Clayton Kershaw, Yasiel Puig, Kenley Jansen, Rich Hill, Logan Forsythe, Yasmani Grandal, Joc Peterson, Enrique Hernandez, Austin Barnes,and Chase Utley for example. What a year they all are having! Okay, let’s take the entire team and watch as each game means a different hero to take center stage. Recently, we’ve seen Justin Turner claim top spot for batting average while Corey Seager, Chris Taylor, Justin Turner and Cody Bellinger (among others) provide that much needed hit when it counts in the bottom of the ninth. I haven’t seen it before updating to iOS 11.1 but it’s now showing up–a whitish bright border appearing in apps with white backgrounds such as Notes or Calendar. In addition to a bright border on my iPhone, the phone’s battery life as seen a significant drop since updating to iOS 11.1. I hope Apple fixes these issues, after all the year is 2017. It should be noted, this strange border has not appeared on my iPad updated with iOS 11.1. Do you have the bright border appearing on your iPhone or iPad? If the name were Donald Trump instead of Harvey Weinstein we’d see a left-wing media and Hollywood frenzy of glee. And why? Simply because they are hateful of God and love their immorality. Hollywood elites have made a god to suit themselves which allows for such immorality. However, this story isn’t about Donald Trump but rather Harvey Weinstein. So what does Hollywood do in a case like this? Cover-up and cover-up some more. And even when the truth is revealed after years of cover-up, they attempt to cover-up their cover-up because their worldview dictates it. Will Hollywood and the Democrat party ever come clean? So who is Mr. Weinstein? Publicly, he is a Hollywood big-wig mogul, Democrat party donor and producer. And now we know Mr. Weinstein is none other than a sexual predator who used his power to manipulate and control people. He is nothing less than a bully on a grand scale. Unfortunately, because of who he is, much of his inappropriate acts of sexual abuse and harassment was ignored and probably landed on deaf ears. Of course these are things many of us on the outside already know about the worldview of Hollywood and of the Left. We know about their blatant defense of a religion that believes in honor killings, abuse and mistreatment of women. We know about their hatred and antagonistic views toward Christians and Jews (namely due to their hatred of the God of the Bible). We know about the atrocious acts of murder seen in abortion which Hollywood defends publicly and in who they vote for. And let us not neglect to tell about the content they endorse. We see it everywhere–the sexual innuendo against women, vulgarities and immorality that permeates their TV shows, movies and games. Yes, Hollywood and many on the left may want (and try) to deny this ugly reality but sooner or later the truth has a way of catching up. When you least expect it, the Harvey Weinsteins of the world show up and expose the truth. And yet, there is still time for us all to repent. And of course it should evoke a strong negative reaction. Abortion is the gruesome practice of murdering babies. What could be more ugly and offensive than the murder of the innocent? The question is why would Twitter block the truth? Is it that Twitter along with other large media outlets, actually believe murder is okay? After all, they have gone to great lengths to defend Planned Parenthood in the past. Now if the Twitter CEO’s had a strong moral compass, I would expect a strong statement speaking out against the ugly practices of Planned Parenthood with abortion, along with any murder of innocents. God hates murder. Remember, the command “You shall not kill.” Maybe that is also why so many people today hope God’s commands and His messengers would disappear. Thinking of having an abortion? Watch this before you decide! Watch it! See what hope looks like! Review: How Does Project Highrise Rate in 2017? This review is for Project Highrise plus the available DLC (Las Vegas, Miami Malls and Tokyo Towers). I purchased this game as a bundle on a Steam sale which included the available DLC and the base game Project Highrise. Contrary to what I have read, Project Highrise in my opinion is not much like the old 1990’s Sim Tower. Yes, you can build a tall building and yes there are animated people walking around and yes there are offices, hotels, restaurants and apartments but for me that is as close as those two games get to being the same. I consider Project Highrise more in line with a city builder such as Cities Skylines because of the required planning and management aspects to it. For me there has been a slight learning curve to discovering the game’s mechanics. The included tutorials are extremely helpful although they only scratch the surface for how the game operates. Playing with unlimited resources I found has given me the best experience and the most fun in learning the game. As of this writing, I have not played Project Highrise (PH) without the DLC but as far as I can tell, the added DLC (Las Vegas, Miami Malls, and Tokyo Towers) are welcome (essential?) additions in making PH an enjoyable experience. The DLC gives the game depth and variety with its added hotel building expansion which includes casinos, stores, art galleries, event venues, in addition to apartments, office and multi-level lobbies. Who doesn’t want to add stores, hotels, casinos and event venues to their tower? Get it all with a Steam sale and you can’t go wrong. Additional note about DLC (Las Vegas, Miami Malls and Tokyo Towers): As catchy or flashy as the DLC titles may sound, their function is simply generic in the game. What I mean is the Las Vegas DLC adds generic hotels, casinos, and event venues as options to PH (all things one might see in Las Vegas). The Miami Malls expansion adds generic mall related spaces such as mall security, demo booths, or a mall directory with a variety of stores to choose from. Tokyo Towers adds a generic Japanese flare to apartments, art, and lobbies within the game. In Project Highrise you get to choose the direction you want to take your building beside just up, whether it be by adding hotels, apartments, stores, businesses or a combination of all of these (must have the DLC). It’s up to you (mostly) because you get to choose the types of tenants who will make up your tower. (This is different from Sim Tower where in that game I believe the specific types of food eateries, restaurants and establishments were randomly chosen for you.) PH gives you much greater control and variety in who will move into your building. (A pizza place or a Mexican restaurant? A pet store or an electronics store? You get to decide from a list of choices.) Again, this is why I highly recommend the additional DLC. Both the graphics and sound of PH are decent but are nothing earth shattering. The game could do more with additional animations and sound effects which would add a little more vibrancy to the game. Not to fret though because having the extra money, prestige, buzz, and influence available are also important for greater possibilities to growing your building faster, bringing in consultants, fulfilling contracts and opening up a variety of future tenants. Consultants are an essential part of PH and add an enormous amount of depth to the game. With influence the player can add consultant offices which in turn will open up more available options for constructing the perfect building. There are four types of consultant offices and tracks to choose from: Aesthetics, Politics, Operations and Tourism. Aesthetics pertain to art, sculptures and galleries in your building and also to its general appearance. Politics consultants lift some limitations and codes on building heights and will allow for public transportation. Operations pertain to the inner workings and maintenance of your building such as the number of workers available and the speed at which they build. The Tourism consultants open up the building to allow event venues, hotels and the construction of casinos. Buzz allows for campaigns or ad’s to be placed to bring in more people to your tower, lower the costs of building materials or improve the overall moral of office workers among other things. Prestige stars reflect the level of the good in your building and the happiness (or sadness) of your tenants and visitors. You gain and lose prestige stars by forming various actions in game or allocating space for specific tenants. Unhappy tenants and other factors can lower your Prestige level (the number of stars you have). Tenants who you might wish to occupy a space in your tower will have needs or requirements that must be met before they can be placed in your building. Some have few needs like electricity and water while others have many. This is very important in understanding who can move in immediately and who will have to wait. For example, a luxury two-bedroom apartment might need special cleaning services, handyman services, trash pick-up and more variety of restaurants and cafes placed in your building before a luxury apartment can be placed in your building. IMO the necessity to check these needs of prospective tenants adds a great deal of depth to the game-play. For some players, meeting these needs might become frustrating but for me it added an awesome element of realism and depth to the game. Prestige stars are also necessary in order to bring in specific tenants. Offices, stores, apartments, hotel rooms and other selected tenants need electricity to run and be happy. Some of these tenants also need water, a phone line, cable TV or Air Conditioning (hotels). Therefore as you might guess, planning and setting up your buildings infrastructure is important in Project Highrise. Unlike Sim Tower, elevators in PH do not need to be monitored for capacity and usage times. However, their location does matter depending on what type of tenant you choose to locate nearby. Some businesses or apartments for example may not be happy if placed next to the elevators. In addition, smells, noise levels etc, must be monitored to keep your tower dwellers happy. One awesome thing I love about Project Highrise is the amount of space you have available to build your tower or towers. The player is actually given a few options in the main menu. There is Standard, Narrow, Short and Wide or Extra Large. I found the Extra Large option to be a wonderful amount of space to build a huge (or spread-out) tower or even multiple ones! Of course, if you choose the smaller play areas (which aren’t that small at all), the option to expand your building opens up with a building permit which you can obtain by adding influence and the proper consultant offices! Like many games which are good, Project Highrise also has room for improvement. PH lacks music options during game-play. In fact there is only soundtrack available and IMO was a poor choice for this game. Unless you enjoy repetitive elevator music, you may agree. However, allowing a music style selector (or mod) available would greatly enhance the music options. Fortunately, the music can be turned off completely. Now I realize this is a game and not to be taken too seriously but I still noticed when the model train store had dolls in it instead of expected model trains and that some restaurants look eerily similar. Why not display all tenant needs and requirements from the categories menu? The game could do better job at how it displays the requirements and needs for tenants in general. Currently (as far as I can tell) the player must first allocate tenant space (at no cost) in order to view the needs of that prospective tenant only to find you need to delete that space because your tower doesn’t yet fulfill those requirements. There should be a way of displaying the needs of tenants from the categories or selection menu before anything is placed in the building. While it doesn’t cost anything to allocate the space, it is an unnecessary extra step the developers might want to consider eliminating to make the game-play less tedious. Waiting for things to develop can be a looonnng wait. The current speeds available are normal and fast. Sometimes fast isn’t quite fast enough. Wish there were escalators and parking spaces. Some two story malls stores include an escalator already but it would great to be able to add one in addition to the elevators and stairs. Where are the parking spaces for cars to park? This little nugget was part of Sim Tower and I miss it. When your tower gets big sometimes it can be difficult to spot what is making someone upset in your building and it can be especially tedious to search for specific tenants or that elusive recycling bin or eatery to check its stats. Having a view available which displays all tenants located in your building each broken into categories with specific stats, might go a long way to making them easier to find especially when something goes wrong. Overall, I would highly recommend this game especially if you enjoy city builders and a Sim Tower style game. My nine-year-old daughter can also attest to the fun factor this game provides. Get the game plus DLC in a bundle on a Steam sale for $10-$15 and it’s a great deal. Have you played Project Highrise? Did you like it? Dislike it? Let me know what you think of the game in the comments below. What’s so great about Cities Skylines?